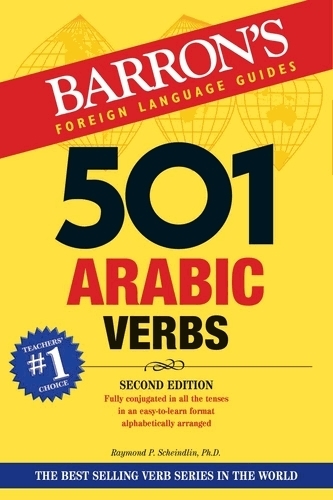 Your essential guide to Arabic verbs and verb usage. 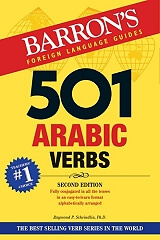 Barron s 501 Arabic Verbs is printed in Arabic script with exemplary sentences in English for each verb. To reflect correct Arabic style, this book has been printed back cover to front and back page to front. Verbs are arranged alphabetically in a table format, one verb per page with English translation, and conjugated in all tenses and forms. The book s additional features include common idioms with example sentences to demonstrate verb usage and a grammar review.